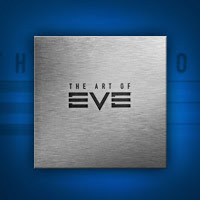 This past Monday was my 36th birthday and as a gift my wife got me a copy of The Art of EVE, which was delivered by FedEx this afternoon. Man, what a beautiful book! The packaging was more than sufficient and the book was in mint condition. Can you guess that I'm a nit picker!! Suffice to say, the first thing I did when I got home was to open the package, unwrap the plastic, slide the book out of its casing and start flipping through the pages. I've gone through it once for a quick review, but I plan on taking my time and enjoy this work of art. I'll post a review once I've given it a good read, in the mean time I thought I'd give you a look at the table of content. So stay tuned for the review!